Working 9 to 5 just isn’t cutting it anymore and you want to make sure you’ll never have to work again, so you and your friends have decided to do what any well adjusted person tired of the daily grind would do and knock over a bank! You’ve broken in, and luckily there are clues littered everywhere on how to open the vault and steal the cash, but be quick, the cops will be at the door in only an hour to end your 9 to 5 days in a much less comfortable way! We were excited to see that our Game Master who led us through Serial Killer exactly one year before would be running us through our next adventure with BreakOut Charleston, as he was excellent the previous visit. 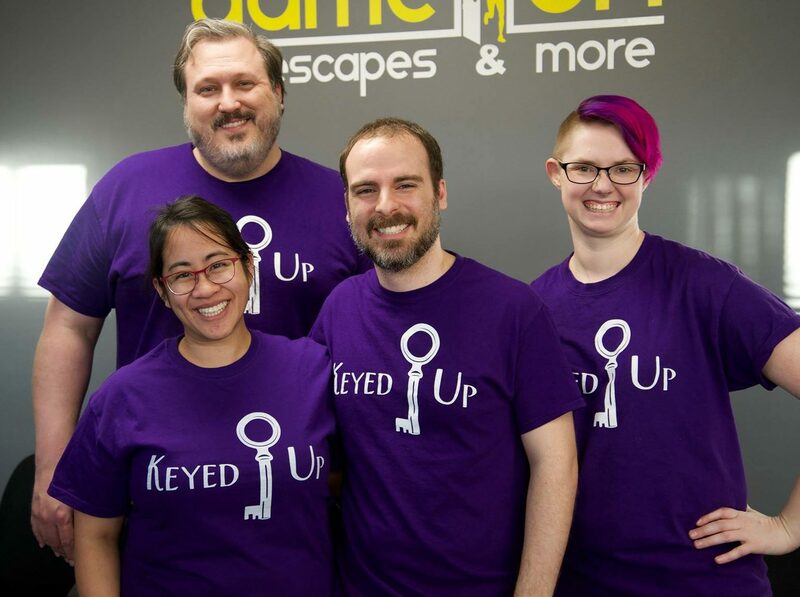 As our previous game was a fantastic time, we were looking forward to the next room Breakout had to offer. There were a couple of fun interactions we hadn’t yet seen in this room, dealing with perspective as well as understanding of space that were enjoyable to solve. The connections between puzzle clues, solutions, and items were interesting and exciting to solve, and a good mix of searching and riddle solving kept our group of four involved throughout this mostly non-linear room. The final run of puzzles tied the room together well, and provided a fun physical interaction leading towards the end of our successful heist. One puzzle is based on geography and requires a bit of outside knowledge in order to solve. The room as a whole feels a bit older and more worn than the other offerings at BreakOut Charleston, and the gameplay itself, while still a fun time, is a bit less cohesive than usual. The rooms and props themselves are sparser and less polished on the whole, delivering more of a facsimile of a bank than immersing you in the theme with it’s set. One of the final interactions is capped at two participants, so bigger groups may feel left out of that section. A few puzzles utilized the same colors as each other, muddling up the solving process in a confusing and ultimately frustrating way. Bank Heist is an exciting, if sometimes flawed game that provides a challenging puzzle room to solve. Enthusiasts may feel a bit underwhelmed by the more old school feel, but this would definitely be a great room for beginners to try out. Book your break-in at Break Out here!